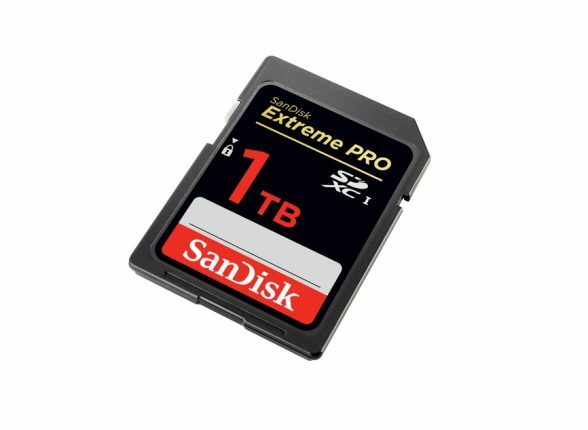 Western Digital recently announced that they’re now demoing the new 1TB SanDisk Extreme PRO SDXC memory card prototype at the Photokina show now happening in Cologne, Germany. SanDisk was the first to unveil a 512GB SDXC card back in 2014 which still happens to be one of the highest capacity SD cards on the consumer market. With 4K video recording capabilities and beyond that to 8K, and VR on the horizon, high storage capacity drives have become much more of a necessity especially when a 10 minutes clip of 4K video can easily require several gigabytes. The ability to hold that much data in a device not much larger than a US quarter is quite impressive and can be invaluable for photographers, and digital content creators. No word on pricing or availability as of yet, but we’re sure it won’t be cheap. Of course, we’ll have more information as we receive it from SanDisk.